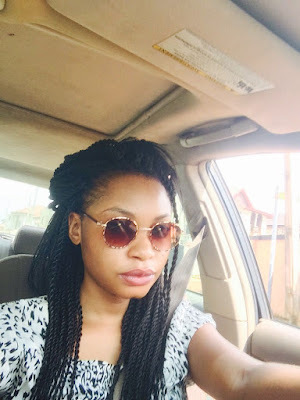 Hello guys, how've you been? It appears crochet braids have taken over, with all the brands coming out with their own version of pre-braided/twisted hair. 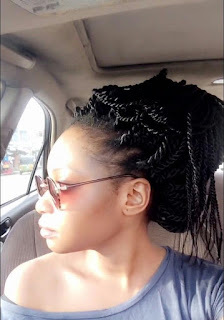 One of them is Wow Braids, which I saw for the first time when my friend Kudi showed up at mine on a Saturday, demanding my crochet services. The first thing to figure out with crochet is the braid pattern to use. How do you want to wear the hair? Kudi wanted to be able to wear her twists in ponytails and buns; so the sides, front and back had to be neatly braided, with no bulk. All-back cornrows would create bulk at the nape, and a high ponytail or bun might look messy at the back. 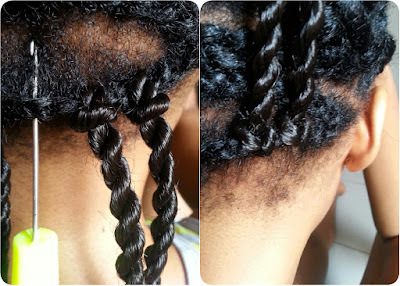 With this braid pattern, the bulk is hidden in the centre where nobody can see. I used a latch hook. If you need to see how to use a latch hook to attach the hair, Youtube is a great resource. Knot is overlying when the latch hook points up. Knot is underlying when the latch hook points down. I found that the method with the knot overlying was more secure, while the underlying knot looked a little better in a ponytail. I went with the overlying knot for more security. We used three packs, save a few twists from the last pack. I was done in about an hour, give or take twenty minutes. This is why crochet braids are going nowhere. 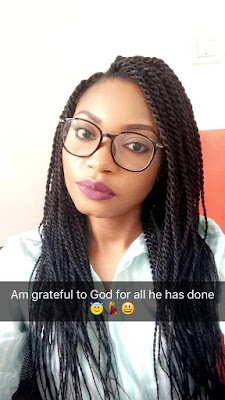 Kudi was very happy with her hair for all these reasons and more. She sent me these pictures. 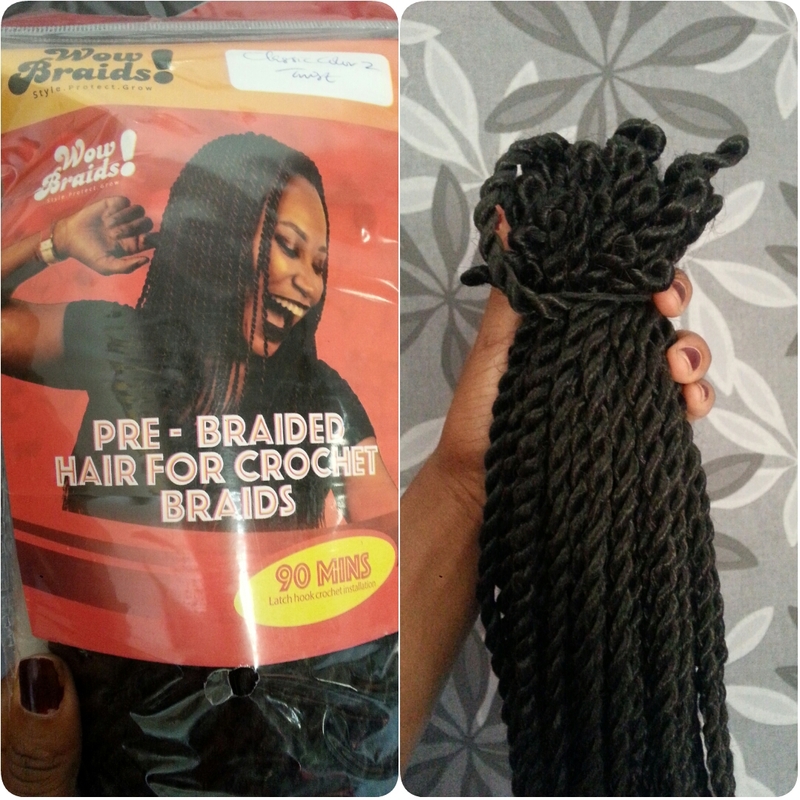 UPDATE: Hair was bought from www.wowbraids.com at 2k each, 6k for 3 packs. 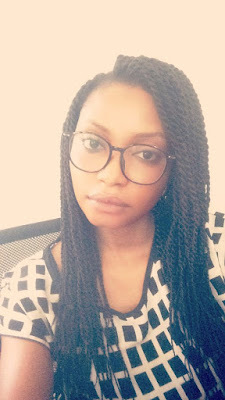 Big fan of crochet braids you know! 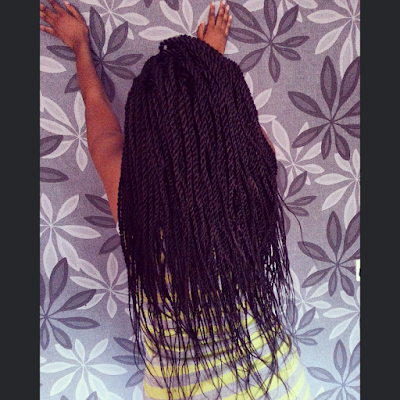 Gone are days of micro braids..
Loving your hair!! This is so weird I had the exact same hairdo as you!! 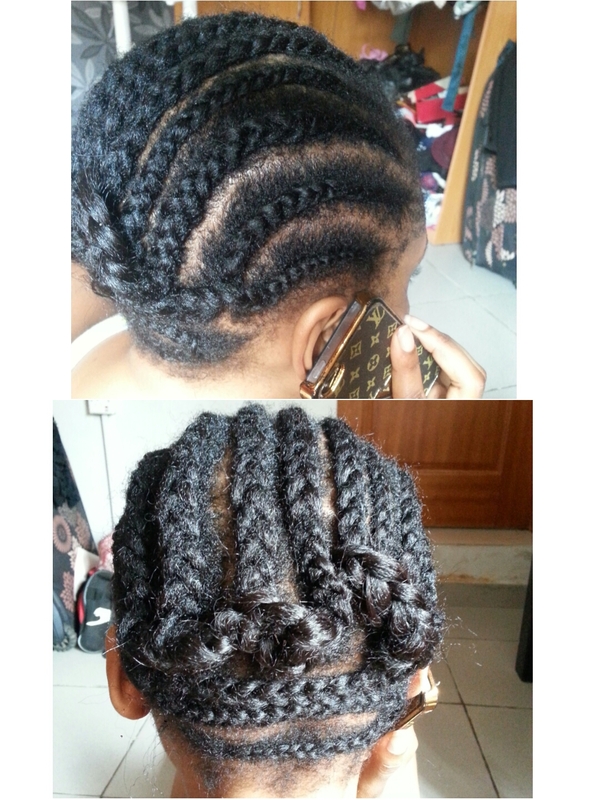 I am so loving my crotchet braids!! Could you ask Kudi where she got the braids and for how much? Lol, we should meet all these our doppelgangers o. Marilyn and I should have a 'spot the difference' photo. The braids were from www.wowbraids.com for 2k each or 6k for 3 packs. Nice,easy and I will try it out. Welcome back! Ah, crochet braids for president! The ministry is really moving with new brands releasing their products, the more the merrier. Lol @ "trapped between the knees of a talkative hairdresser"
I'd never heard about Wow Braids before now, I hope their products comes in a variety of colours. I'll check out their site. Haha, you're welcome Nedu. They have a small range of colours, and even some ombre ones. Nice and neat pls how many strands per pack? Do you know, I've been quiye mad at myself for not remembering. I actually counted before I started. If I had to hazard a guess I would say 20-something to 30. Oh man!! I love it!! !Looks very natural on Kudi! Is this what you're wearing now? No, I twisted mine myself. 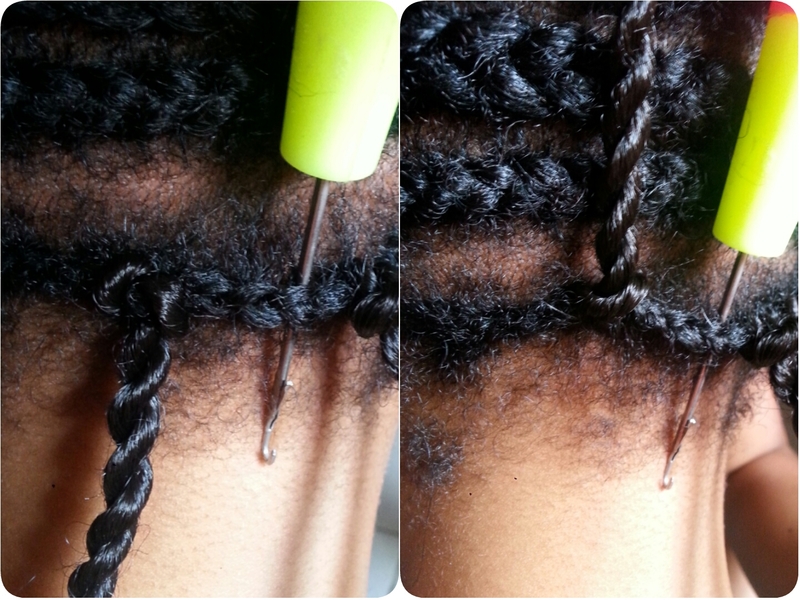 I had braiding hair laying around so I used that, and then crocheted it in.